Big congratulations to Misty Copeland for becoming the first Black Principal Dancer with the American Ballet Theater! It is quite an honor and such a huge accomplishment for her. Although I don't know her personally, I am very proud. It shows what can be done with dedication, perseverance, and raw talent. 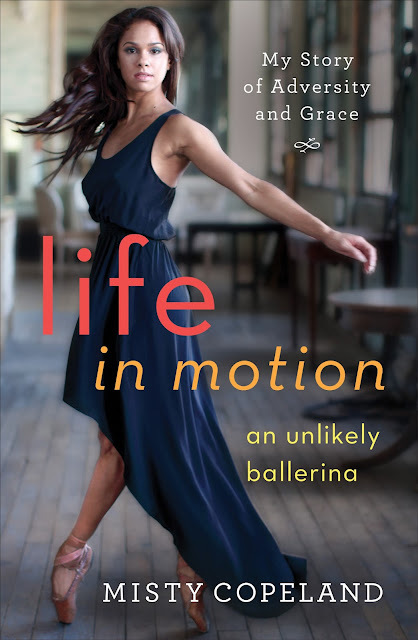 I know how tough ballet can be just from the years I took it when I was a young girl. I never aspired to become a prima ballerina, but I dedicated myself to being the best I could be for the concerts put on by my class. I was both anxious and nervous for my family to see how hard I had worked. I also wanted my mother to feel good about the hard earned money she had invested in my dance lessons. There was some healthy competition amongst the girls in class, but it was a fun experience and one that I will always treasure. I know that Misty serves as inspiration to many young girls, possibly boys too, and I think that is a wonderful gift to the world. I'm sure many more great things are in store for this amazing young woman. Check out the article by the Associated Press here. I recently went to the home of some friends for a game night. There were around fifteen people there, and we had a blast! 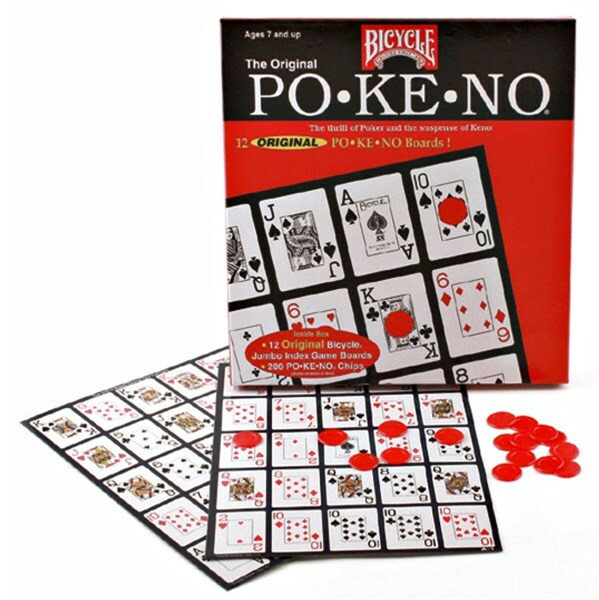 We played several games, including my rediscovered favorite, Po-Ke-No. I hadn't played the game since I was a girl. My grandmother had a set, and she used to have Po-Ke-No parties at her house. Everyone would come with their bags and jars full of coins, raring to go. It's a great game that can be played by people of all ages. My grandmother's players used to start off using pennies and work their way up as the evening progressed. At the recent game night ten of us played and, while we started with dimes, we switched to quarters early into the evening. Needless to say, some of the cups had a nice pot of money before too long, while some of the players saw their bank dwindle quickly. There are several ways to play, and we played with a cup marked for each possible way to win, including 4 of a Kind, Corners, Center, Blackout and, of course, Po-ke-no. Every player antes up by putting a coin in each cup. The dealer calls out the cards and the players place a chip on the corresponding picture of the card if they have it on their playing board. As soon as someone calls, or in the case of my friends, YELLS, Po-ke-no!, the round comes to an end. That person gets the money in the Po-ke-no cup. Anyone who called out one of the other wins before the Po-ke-no winner, with the exception of Blackout, gets the money in the respective cup. With my folks, if you are a winner, you dare not hesitate when calling out your win or someone else might beat you to it! They want to check your board too to see if you really have it! It's really fun, loud and serious! We had a couple of newbies there who are now Po-ke-no fanatics. I plan to purchase a game for myself soon. It'll never go out of style. A truly beautiful woman went home this week. 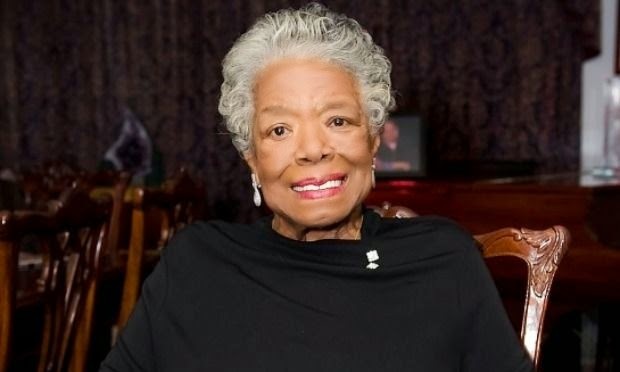 Maya Angelou died on Wednesday, May 28th in her home in Winston-Salem, NC. Ms. Angelou was a brilliant and gifted poet and author, to name a few of her accomplishments, and her words, wisdom and presence were a gift to the world. Although I'd never met her personally, I could feel her energy whenever I heard her speak or read works she had written, and it moved me to where I felt a kinship. Her passing was very sad news to me, but I am so thankful for the life she lived and shared with us all. She is an icon, a legend, and her spirit will truly live on forever. Rest in Peace, Ms. Angelou. 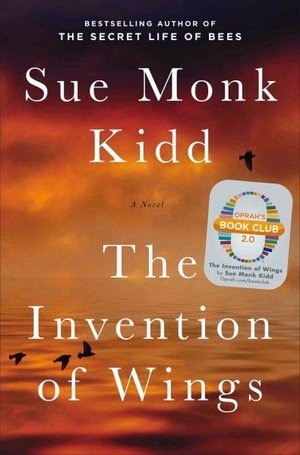 I recently finished reading The Invention of Wings by Sue Monk Kidd. I was vaguely familiar with the author prior to reading the book, only because I had seen the delightful movie, The Secret Life of Bees, several years ago, which was based on her novel of the same name. While I hadn't read that book prior to seeing the movie, I came away with a feeling that the author wrote with a spirit that captured hearts. I enjoyed it so much that I watched it again sometime later. 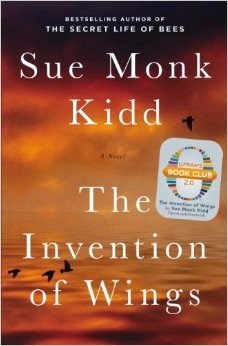 I first heard about Ms. Kidd's latest novel while viewing her appearance with Oprah Winfrey on Super Soul Sunday. Among other things, they talked about the author's latest book which had been selected for Oprah's Book Club 2.0 in December of last year. I decided to check it out. The book took hold of me from the very beginning. I was drawn to not only the stories but also the voices of the main characters, Hetty, a slave, and Sarah, Hetty's reluctant slave owner. The novel is at times harsh and other times sentimental, and very moving overall. It made me appreciate Ms. Kidd's gifted writing ability even more. I can see why Oprah chose to add it to her collection, and I'm happy to have included it in mine. If you're interested in reading a book that will engage your mind and your heart, this one won't disappoint. I just love Lupita Nyong'o. She is beautiful, poised, stylish and talented, and has captured hearts all over the world. Born in Mexico and of Kenyan descent, she's spoken of a time when she didn't feel very beautiful because of the color of her skin. 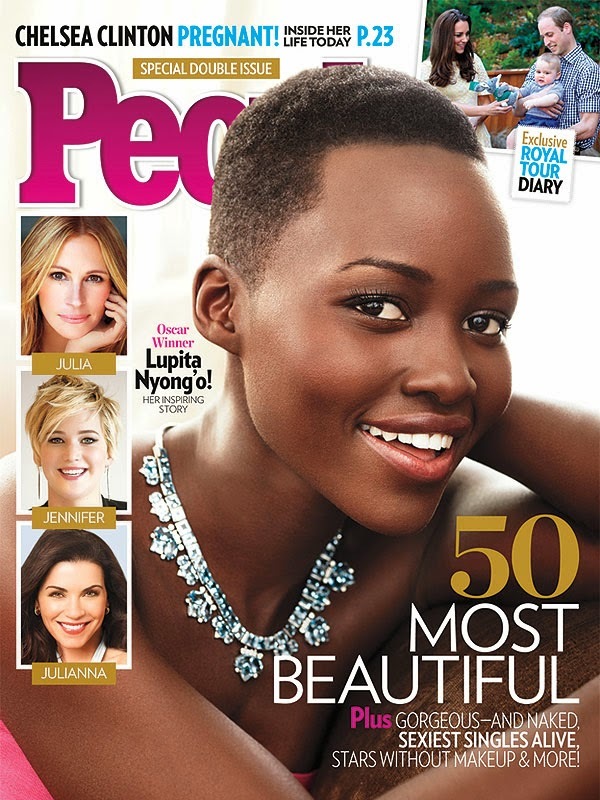 I'm sure she never imagined that one day she, with her gorgeous brown skin, would grace the cover of People magazine for having been named their "Most Beautiful Person for 2014". It is an honor of which she is very deserving, not just because of her obvious visual appeal, but also because she is so very gracious, and that, I feel, outshines anything else. She is the type of role model that our young girls, particularly our girls of color, need to see in the media. A bright star, shining from the inside out. Congratulations, Lupita! In November of last year I visited Kunta Kinteh Island, formerly known as James Island, in The Gambia, West Africa. This tiny island is located on the Gambia River, and is steeped with heartbreaking history of the slave trade. The island became infamous with Roots, the late author, Alex Haley's book and miniseries, which is a powerful and emotional account of his ancestors' journey from Africa to America as slaves. We traveled to the island via a short boat ride from the village of Juffureh. Once we arrived on the island our guide gave an excellent presentation on the history of the slave trade from there to America, and told us about the structures that remain on the island from that time. The island's size has been steadily decreasing due to erosion, but the ruins that remain tell a chilling story. At one point I was affected physically, feeling sick to my stomach. Now, I may not have thought much of it since several people on the trip had a bout of stomach issues while we were on the continent, but several others commented that a similar feeling swept over them as well while we were on the island. As if that wasn't strange enough, as soon as we returned to Juffureh, my queasiness disappeared. It definitely made me even more sensitive to the horrendous and sickening crimes against humanity that took place there many years ago. This place is a haunting but significant piece of history, and should definitely be on your list of places to see if you're visiting the country. Without question, it was an experience I will never forget. 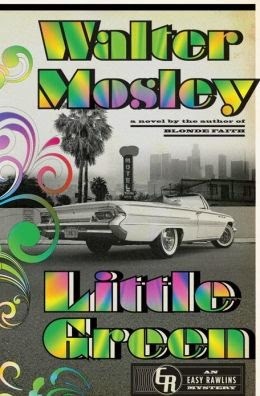 I am an avid reader, and one of my favorite authors is the gifted Walter Mosley. Over the years I have followed, and fallen in love with, his leading characters, Easy Rawlins and Leonid McGill. I've read each book in each series and eagerly await release of the next. There are currently twelve in the Easy Rawlins series and four in the Leonid McGill series. The most recent books are Little Green and All I Did Was Shoot My Man. Both books were wonderful reads. 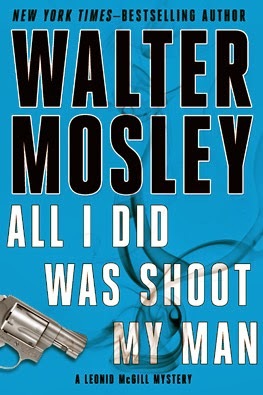 Mosley does a great job of bringing you up to date if you either didn't read or need a refresher from the previous books in the series, but I highly recommend reading all the books in order to get the full history and flavor of not only the lead but also supporting characters. Besides, you're sure to enjoy them all. He reveals that he has just completed a new Easy Rawlins mystery and is working on the next Leonid McGill book. Yay! I can't wait. He also talks about his soon to be released novel, Debbie Doesn't Do It Anymore. Different from what he's done in the past, but I'm willing to give it a shot. He hasn't disappointed me yet.